2012 marks the centennial year of the famous Danish architect and designer Finn Juhl. At the United Nations headquarters in New York, the Trusteeship Council Chamber, one of Danish designer Finn Juhl’s major works, is currently being renovated. Finn Juhl was a Danish architect and interior and industrial designer, best known for his furniture design. Together with contemporary architects and furniture designers such as Arne Jakobsen, Hans Christian Wegner and Borge Mogensen, Finn Juhl became one of the leading figures in the creation of Danish Design in the 1940s. Juhl designed the Trusteeship Council Chamber for the United Nations headquarters in New York as a comprehensive whole in the 1950s; everything from the colorful ceilings to the wall panels and furniture. 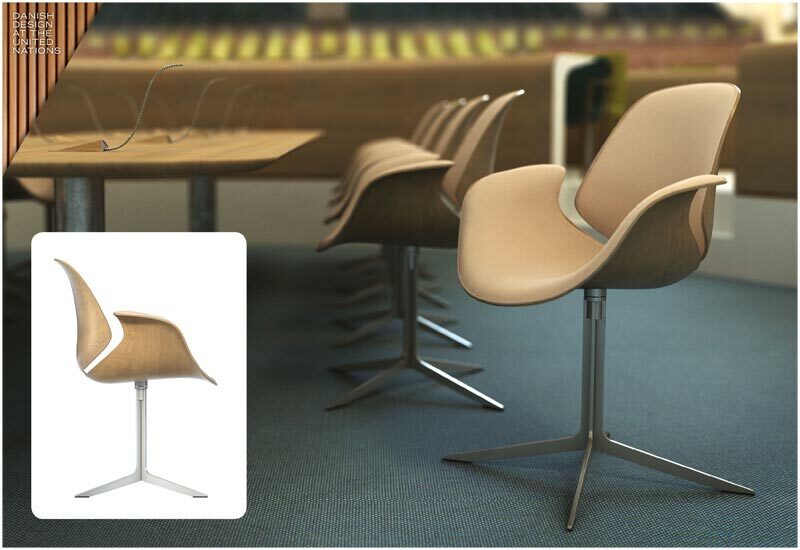 During 2012, the Chamber will undergo a full restoration and refurbishment to be completed in January 2013 with brand new Danish design furniture from the design duo Salto & Sigsgaard. In New York, the centennial will be celebrated with a number of events, highlighting both the restoration project along with contemporary and future Danish furniture design. In Japan, an exhibition entitled “The Universe of Finn Juhl” will open on February 28, and the Finn Juhl Art Museum Club is constructing a 1:1 copy of Finn Juhl’s original Danish home in Ordrup, Denmark. In Denmark, the Ordrupgaard Art Museum, north of Copenhagen, will be throwing a birthday bash at Juhl’s nearby private home.